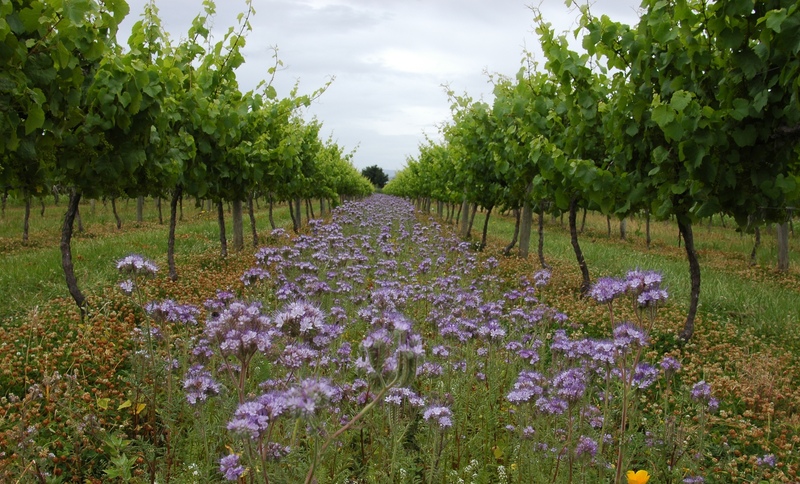 A cover crop of flowers naturally helps prevent soil erosion and maintain soil fertility. In my last blog post, I discussed the first three of seven Pillars of Sustainability outlined by Sustainable Winegrowing New Zealand. The wine industry’s’dynamic and proven methods for achieving the triple bottom line of social responsibility, economic viability and environmental stewardship are models for other regions. In order to fully understand how SWNZ undertakes this mission of kaitiakitanga (the M’ori word meaning ‘environmental guardianship’), let’s now explore the remaining four pillars: chemicals; byproducts; people; and business practices. Managing pests is a crucial part of operating a successful vineyard; doing so in a sustainable way ensures success for years to come. Chemicals are not by any means the only way to protect crops, but they are among the least sustainable. Chemical use exposes the land to risks of pollution, spills and contamination and can be unhealthy for the workers handling the chemical product. When you consider that chemical pest management is often more expensive than other techniques, there is little justification to use them. Pest management is not a difficult task for most organic and sustainable winegrowers, and very effective strategies are available. All of these efforts combine to produce a more pure and sustainable product. The three ‘R’s’ inform SWNZ’s approach to byproducts: reduce, reuse and recycle. In addition to reducing the amount of material and associated costs in operations wherever possible, reusing and recycling on-site conserves raw materials and saves energy. Most people don’t always think of waste as a good thing, but often agricultural byproducts can be useful resources in winemaking! A rich compost can help improve and maintain soil quality and biodiversity. New’Zealand’viticulturists’are absolutely obsessed with making good compost!’Several, on my recent trip,’couldn’t’wait to show me’their’compost’site and’tell me’about everything’that went into it,’including’ground’mussels’shells, seaweed’and’of course manure. A rich compost can be made from vine prunings, marc and grape stalks. As mulch, this material then helps improve and maintain soil quality and biodiversity. 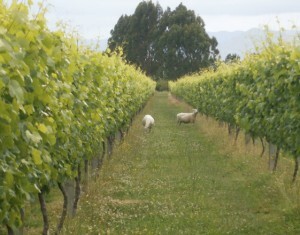 Sheep help pluck leaves off the vines. We all love to share a good wine with friends; that special relationship makes the occasion and product that much more special. On the supply-side, relationships are important too, and embracing this makes winemaking a more socially equitable practice. Training staff, holding collaborative meetings, seeking feedback and encouraging teamwork to achieve goals, sustainable and otherwise, fosters a positive company culture and holistically produces a better product. Aside from the obvious environmental goals, two goals of sustainability in the New Zealand wine industry are profitability and legacy. Sustainable practices allow many winemakers, vendors, and other participants in the supply chain to add value to their products and services. To ensure that’everyone involved in the sustainable wine making industry is compliant with’the various laws and regulations governing sustainable wine production,’the SWNZ provides guidance and templates for business development and staff training. This saves time, money and energy for all involved – no wasted paperwork or frustration over the process. 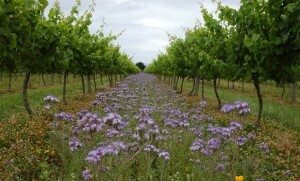 The efforts of Sustainable Winegrowing New Zealand’s initiatives has put New Zealand at the front of the pack and makes them a global example for advancing sustainability. To that we can all raise a glass!